You would think this would be obvious. To most people it is. Not, apparently, to everyone though. If you’re asking for reviews, your novel should be complete and either published or very late in the process of becoming published. If what you are looking for is feedback or critique, don’t ask a book blogger unless they also offer this as a service. What you need is a critique partner or critiquing website. Before sending an email, make sure you know who you are sending to. Read other reviews on the blog and read the blogger’s review policy, if they have one. This will allow you to make sure you’re not asking in vain. There’s no point in asking a blogger who exclusively reviews science fiction to review a romance book, or sending a request to a blogger who is not currently accepting request due to a 20-book backlog. The blogger might also have specific instructions for review requests, beyond those outlined here, that they expect you to follow. Researching them means you know what these things are, and you can make sure you don’t miss anything they want. Starting an email with “Hi blogger” or “To the admin of Bob’s Book Reviews” is impersonal. It suggests you haven’t done any research – most bloggers have either their actual name or a pseudonym clearly shown on their blog. It isn’t difficult to find out their name and use it to address them. It also demonstrates lack of respect. If you can’t be bothered to do something as find out the name of the blogger you’re asking for a review, why should the reviewer bother reading and reviewing your book – or even bother to reply to your email? Book title. Yes, this does get forgotten sometimes. Blurb. This needs to be polished and considered, not just a summary of the story you write five minutes before clicking send. The blurb should be concise and alluring, and should not be a summary of the novel – you aren’t contacting an agent here. Length in words and pages. I might have time for a 60,000 word novel, but not for a 140,000 word novel. Another blogger might be more interested in something that they can really get their teeth into, and prefer the longer stories. Genre. This should be mentioned in the introductory paragraph of the email, before the blurb, so the blogger knows straight off whether it’s a genre they review or not. You can be more specific here than broad terms – instead of fantasy, you could call it a low-magic epic fantasy, or a comedic fantasy, or a sword and sandals fantasy adventure. This will help the blogger make a quick decision as to whether it’s what they would read or not. Position in a series. Is it a standalone novel? Book one in a planned trilogy? Book four of eight? A blogger might not be interested in reading a book that is the sequel to something they’ve not read, so let them know. Publication date. If the book hasn’t been published, a blogger might want to try and get the review done before the publication date. They might not be interested in reviewing a book that’s three years old. Or they might simply want to let their readers know when the book will be available. A link to the book’s page on Amazon, Smashwords etc. This allows the blogger to see the sample and read existing reviews, giving them more factors by which to make their decision on whether to review the book or not. For my part, I’d rather review a book with few existing reviews – where my review can have an impact – than one which has 150 already. All of this information will allow the blogger to make a decision as to whether they will read and review the book. You don’t want to make the blogger chase information like this – that makes it more of a hassle. Make it easy for the blogger. Images make blog posts more visually appealing. The same goes for emails. Include the cover in the body of the email, and you give the blogger something interesting to look at, breaking up the text of the email and adding some colour. Against the age-old advice, people do judge books by their covers, and this is no less true for book bloggers. A good cover will help you; a bad one will not. A well done cover tells the blogger you care about making the book as good as it can be, whereas a poorly done cover will suggest the opposite. If you’re not happy with your cover, it might be best to leave it out, but if you think your cover is good, definitely include it. In your first contact with the book blogger, sending the ebook as an attachment to the email is presumptive. It assumes the blogger will agree to review the book. It suggests you think so much of the book that it would be impossible for a blogger to not want to review it. Such arrogance is not attractive. With a little modesty and deference, you will instead flatter the book blogger and make them more willing to give you a chance. I have seen review requests in which the author expects the reviewer to buy the book. This is not on. As an author, you are asking book bloggers for a favour. What the blogger gives you is increased exposure and a better chance of selling your book. A book blogger is not a bored individual with no life. They could well be very busy indeed, with a booklist that never seems to get any shorter. You’re asking them to take several hours out of their schedule to read your book, think about it, and write about it. Give them the book for free – and don’t act like doing so is a generous bestowal of peerless literature on a lowly blogger, or even just the gift of a free read. The blogger is the one doing you the favour by reviewing the book. The best approach is a simple, unpresumptive offer at the end of the email asking politely that the blogger let you know if they will review the book, and if so to specify the format they require, which you will then send over promptly. A blogger who reviews a book may want to include a paragraph at the end of the review with a brief bio of the author and links to where the book can be purchased. To help them in this, you might want to include a bio in your email. But all too often, this information about the author is generic and dull. In the same way you wouldn’t submit a resume with “I like to spend time with my friends” in it, don’t use that kind of sentence in a bio. It’s dull. It tells the reader – whether the blogger or the blogger’s audience – nothing about you, because it can apply to anyone on the planet and thus presents no discerning information. You can say you’re married with two children, but telling me you like spending time with the spouse and kids is a non-statement. Yes, I have seen this step forgotten. I assume it happens when someone who has an automatic signature on their work email forgets to sign their name at the end of a personal email. The reviewer needs to know who the book is by – and so does the blogger’s audience, or you might struggle to sell the book. Make sure the email is well structured, that you haven’t forgotten any information, and that there are no spelling or grammar errors in the email. An email with errors in it reflects badly on your book – the blogger wonders if the book has as many errors. I have recently come across your blog and I see you review fantasy novels. I would like to ask that you review my story, The Aeneid, which is an epic poem in the fantasy genre, in the tradition of Homer, with particular influences drawn from his Odyssey. 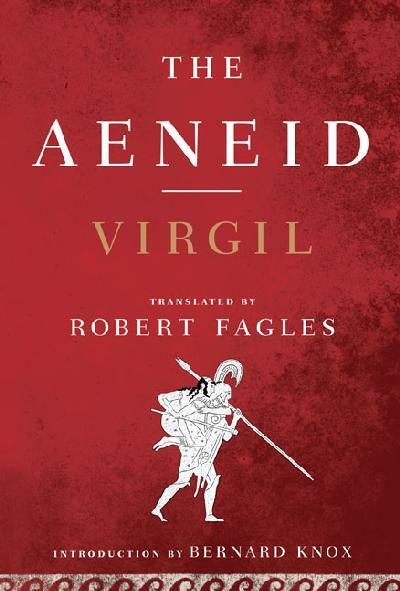 The Aeneid follows the journey of Aeneas, the son of a nobleman and a goddess, as he escapes his doomed home Troy and sets out, with his father and his young son and a number of followers, in search of a new land to make a home. His journey forms part of a battle between gods – his goddess mother Venus has a rivalry with the queen of the gods, Juno – and as a result Aeneas faces a number of trials, both natural and supernatural, as the goddesses use the mortal realm as a stage for their war. The story is 10,000 lines long (90,000 words, 300 pages) and is a standalone story, though you would benefit from knowing the legend of the fall of Troy. It was published in 19BC. The Amazon page is here [link]. If you are interested in reviewing this book, please let me know what format you require. I can send it to you in paperback, or as an ebook in formats epub, mobi and pdf, or as a handwritten scroll. I am a Roman poet with two existing titles, Eclogues and Georgics, as well as a collection of poems. I have written the Aeneid not only because it is a remarkable story of the ancestors of my people, but also to demonstrate the grandeur of the bloodline of my patron, the Emperor Augustus. I live in Rome in the 1st century BC with my family, two dogs, and probably fourteen amphorae of ink! Thanks for the tips! My book is coming out in May and I’m just starting to look at getting some book reviews done. Thank you for creating a how to. It makes the process seem a lot less scary. Glad I could help. That’s exactly what I wrote it for! Good luck with you book launch. This is great info, thanks for that! Hopefully in about 6 years time when I get around to adapting it, it’ll be a great 6 part TV series too. Thanks for including the sample letter, that really helps as a reference. It can be difficult to know where to start. No problem, it was fun to write. Just remember to take out the bit about providing the book as a handwritten scroll!